Born in 1988 in a shiny little southern town in Turkey, Sezen Ahıskal completed two undergraduate programs in Advertising and Journalism. After serving in both industries for over ten years under various titles, she has decided to further improve her successful professional career with a touch of a personal journey and penned her debut title BLACKOUT. Today she lives in Istanbul with her husband and her e-reader. Not much different than every single one of us out there, she felt the profound need to go back to a previous state of herself where she felt more content. Only to find out that after almost two years of her first step into this journey, she was still feeling lost in many ways and unable to guide her life towards a better state. After meeting the very concept of minimalism, she realized that the ultimate answer cannot be out there but within her and to reach ‘her’ she needs to eliminate all and every possible contamination. 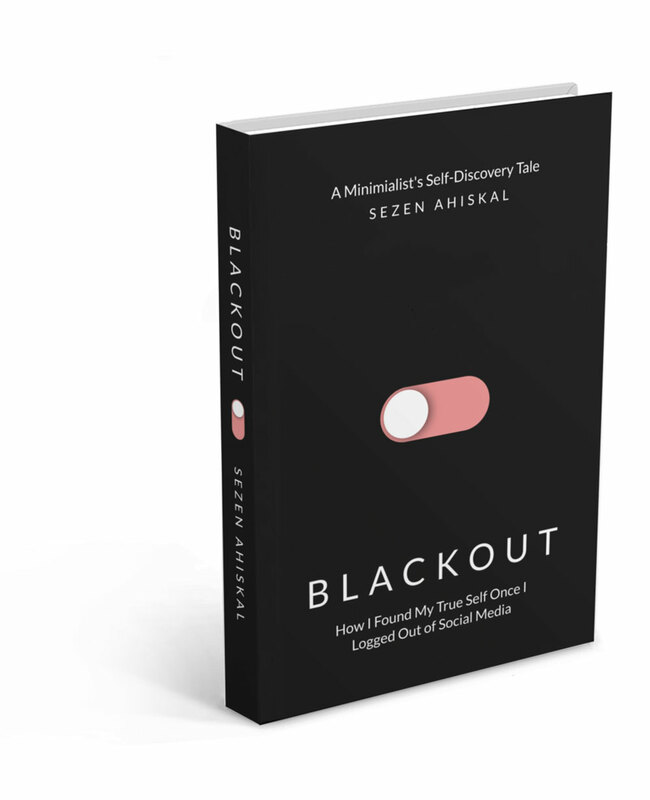 So, for her first title BLACKOUT, she experimented on herself and applied a 28-day total media detox. Aiming to change not only her life but hopefully others’ too, she collected every element of the journey ahead to develop a guide for everyone out there who needs to redefine the boundaries of their media usage habits. Since she is not a fan of doing things traditionally, there are no classic follow buttons here, but if you like to stay in touch with her you can visit her Goodreads profile or scroll down to subscribe her (almost) monthly newsletter. Also, if you are interested in a little bit of inspiration, you may read her short stories on Instagram, visit her Pinterest to see what stimulates her lately or have a look at her Spotify for listening to the same playlists as she does while writing and reading.